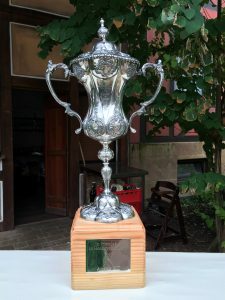 The Angels Cup was donated and presented by John Turner and Duncan Lewis in the 1970s Both engineers in different fields, John an Australian and Duncan a South African, toured with the Angels on many occasions. In a tour programme from 1973, John & Duncan were mentioned in the team player bio as the joint donors of the Angels’ Drinking Cup – obviously an unofficial name! Unfortunately, the cup was never actually played for and after many years of discussions on what to do with it, a decision was made when Angels old and new gathered at Gerald Wilkinson’s memorial in May 2017. Together they decided it would be a fitting tribute to present the cup to Lahr Hockey Club in Germany, where the Angels have toured for over 50 years and enjoyed many memorable times. 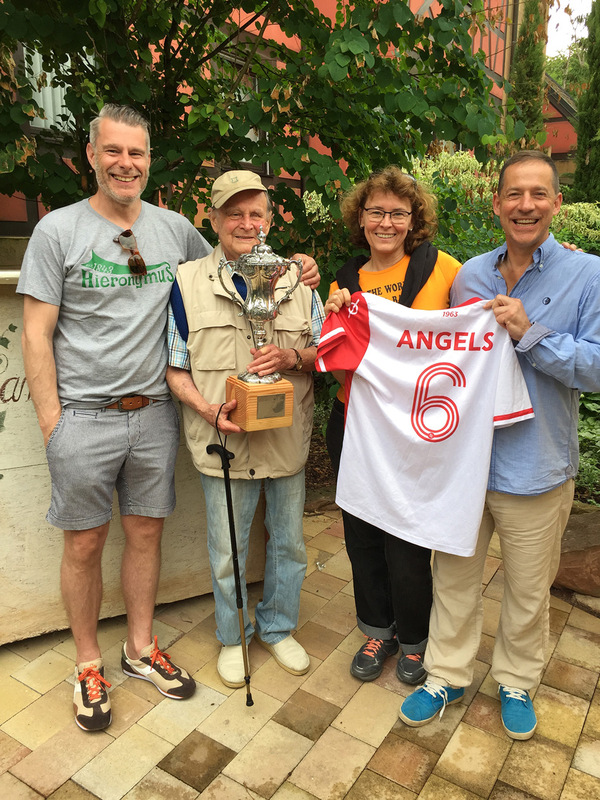 The Angels are pleased to present the Angels Cup to Lahr HC, where they have received excellent hospitality from 1966 to the present day and look forward to the cup making some more history.